← VisitEngland launches local marketing campaigns. We are delighted to include this new experience for 2013. Introducing The View from The Shard London’s newest and most eagerly awaiting attraction opening to the public on 1st February 2013. The View is a premium visitor experience situated at the top of The Shard, the tallest building in Western Europe on floors 68, 69 and 72. It is almost twice the height of any other viewing platform in London. 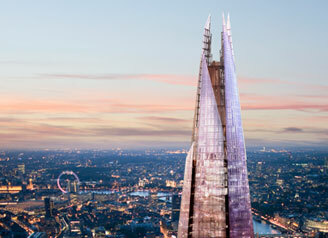 The Shard is London’s newest landmark, designed by Master Architect Renzo Piano. At a height of 1,016ft (310m) The Shard redefines London’s skyline and will be a dynamic symbol of the city, recognisable throughout the world. The name ‘Shard’ comes from its sculpted design, which consists of glass facets that incline inwards but do not meet at the top, but instead open to the sky to allow the building to breathe naturally. The View from The Shard will provide an unparalleled encounter with The Shard and the opportunity to experience London like never before, with spectacular 64km (40 mile), 360 degree views of the city, 244m (800ft) above the capital. Guests will be taken on a multi-sensory journey from street level, drawn into the diverse tapestry of London in new and unexpected ways, resulting in a remarkable experience of one of the greatest cities on earth. Visitors will reach The View from The Shard through high-speed ‘kaleidoscopic’ lifts, which build anticipation, excitement and exhilaration. Guests will arrive at Level 68 before ascending to The View on Level 69, a triple-height, light-filled main level where the view is revealed and London past, present and future is laid out before them and brought to life in multimedia displays and installations. On Level 72, the highest public level of The Shard, guests have the most extreme experience exposed to the elements and sounds of the city beneath, as well as the chance to look up to the shards of glass that form the top of the sculptural building as they disappear upwards further into the sky. Guests exit via a small boutique on Level 68 prior to descending in the lifts back through reception where they will have an opportunity to browse the main boutique as well as purchase a souvenir photograph. The Shard will be complete externally in July 2012 and tickets for The View from The Shard go on sale from July 2012. 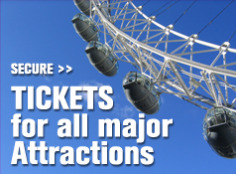 The attraction is anticipated to attract 1 million visits a year. The View will be open from 9.00 am to 10.00 pm to enable guests to enjoy the experience by day and night. The View on level 69, a triple-height, light-filled main level where the view is revealed and London past, present and future is laid before you like you’ve never seen it before. 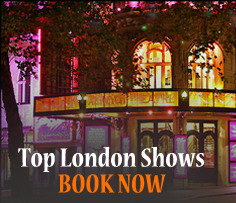 Posted on September 1, 2012, in Discount London, London attractions, London Lanmark, Sightseeing Tours, The Shard, Travel Tips. Bookmark the permalink. Leave a comment.